In conjunction with the Sanrio Character Ranking, a Sanrio mook was released recently. I got it some time back, before the character ranking even started. 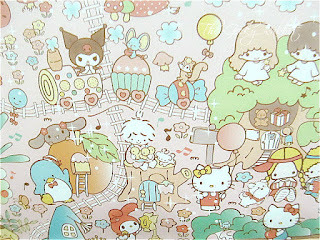 It's a real treat for all Hello Kitty/Sanrio fans! 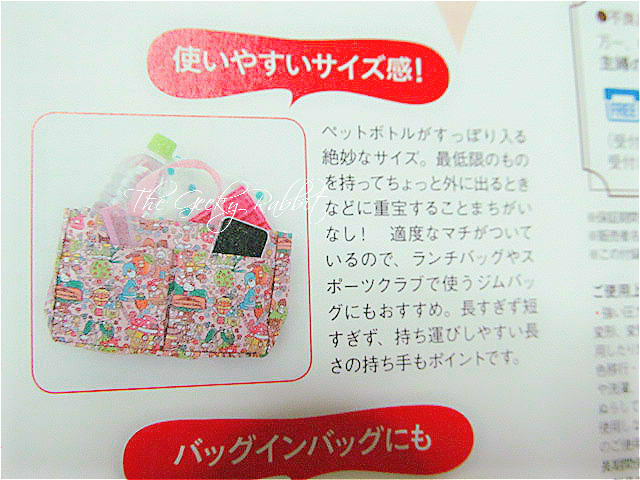 The gift bundled with the mook is a small bag. It's actually quite tiny, measuring 25 by 15 by 5 cm. As shown in the pic below, it's more of a 'bag-in-bag' and works well as a bag organizer or lunch pouch. I'm a huge Hello Kitty fan, but nonetheless I also love the other Hello Kitty characters! 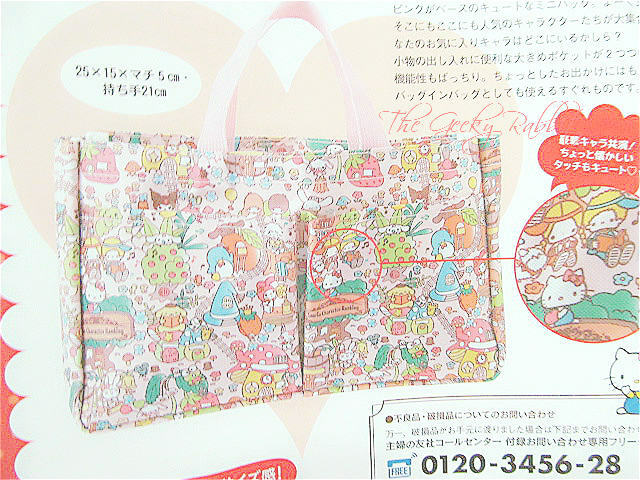 The mook has many pages introducing the various characters under Sanrio. 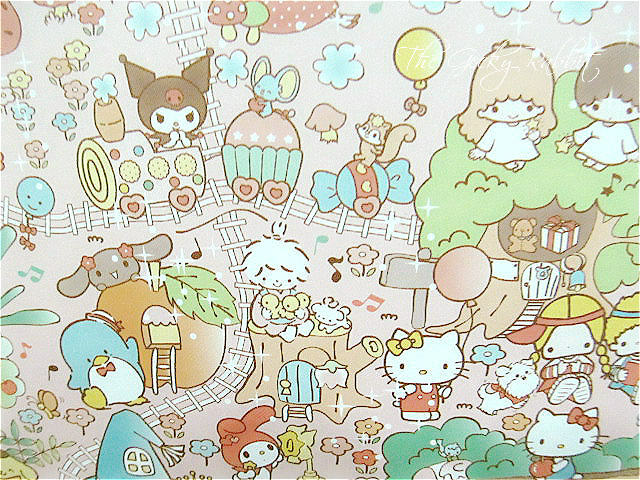 It's has many cute pictures, and has some history about the Sanrio character ranking. There's also tabulations of all the past ranking winners. 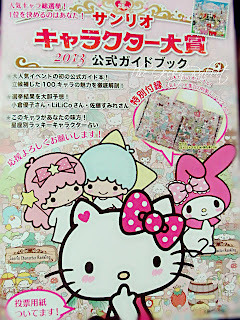 Not sure if Hello Kitty will win this year (Purin seems to be in the lead now). The results will be out 20 June, so depending on when you see this entry, the results would have been released!